The purpose of this study was to develop a consolidated helicopter parenting scale (CHPS) from five existing measures of helicopter parenting and utilize the new measure to examine the relationship between helicopter parenting and intelligence mindset. Participants were 275 emerging adults between 18–25 years of age who completed an online survey. First, we conducted an Exploratory Factor Analysis of five helicopter parenting measures to develop a scale that reliably measured participants’ reports of helicopter parenting by both their mothers and fathers. Then, we utilized the new measure to examine whether helicopter parenting mediated the relationship between emerging adults’ report of their parents’ failure mindsets and their own intelligence mindsets. The 10 items retained in the factor analysis primarily captured emerging adults’ perception that their parents’ involvement was inappropriate rather than delineating objective behaviors in which their parents engaged. Both mothers and fathers were more likely to engage in helicopter parenting when emerging adults reported their parents had a failure mindset. However, only fathers’ helicopter parenting mediated the relationship between parents’ failure mindsets and their children’s intelligence mindsets. When parents were viewed as having a failure-is-debilitating mindset, emerging adults also reported that fathers were more likely to participate in helicopter parenting behaviors, which was associated with fixed mindsets in emerging adults. People with fixed mindsets have been found to have decreased motivation (e.g., avoiding challenges and less perseverance) and academic achievement in prior research. This research was conducted in compliance with the ethical standards of the American Psychological Association. Informed consent was obtained from all individual participants included in the study. No identifying information was obtained during data collection. Boaler, J. (2013). Ability and mathematics: The mindset revolution that is reshaping education. Forum, 55, 143–152. http://www.you-cubed.org/wp-content/uploads/14_Boaler_FORUM_55_1_web.pdf. Costello, A. B., & Osborne, J. W. (2005). Best practices in exploratory factor analysis: Four recommendations for getting the most from your analysis. Practical Assessment, Research & Evaluation, 10, 1–9. https://www.pareonline.net/pdf/v10n7.pdf. Cui, M., Graber, J. A., Metz, A., & Darling, C. A. (2016). Parental indulgence, self-regulation, and young adults’ behavioral and emotional problems. 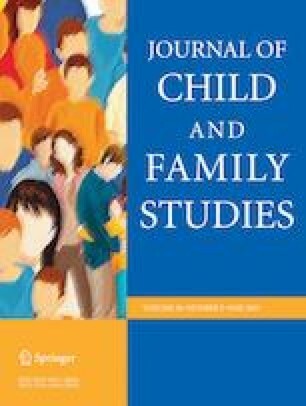 Journal of Family Studies. https://doi.org/10.1080/13229400.2016.1237884. Dweck, C. S. (2007). The secret to raising smart kids. Scientific American Mind, 18, 36–43. http://users.digitalkingdom.org/~rlpowell/public_media/raising_smart_kids.pdf. Dweck, C. S. (2010). Even geniuses work hard. Educational Leadership, 68, 16–20. http://cdn-blogs.waukeeschools.org/maplegrovepdpost/files/2013/03/Even-Geniuses-Work-Hard.pdf. Shoup, R., Gonyea, R. M., & Kuh, G. D. (2009). Helicopter parents: examining the impact of highly involved parents on student engagement and educational outcomes. Paper presented at the 49th Annual Forum of the Association for Institutional Research, Atlanta, Georgia. http://cpr.indiana.edu/uploads/AIR%202009%20Impact%20of%20Helicopter%20Parents.pdf. Somers, P., & Settle, J. (2010). The helicopter parent: Research toward a typology. College and University: The Journal of the American Association of Collegiate Registrars, 86, 18–27. https://www.aacrao.org/research-publications/quarterly-journals/college-university-journal/article/c-u-archive/c-u-vol.-86-no.-1-summer-2010.